And it’s only Thursday so who knows what else might get thrown in my general direction before the weekend. There’s been lots of introspection and trying to work things out/find next directions- much of which has been done through this little forum of mine here at colemining (thank you for your patience if you’re still following along). I’m trying. Really. To keep it together. To tie a knot. It’s a lovely, sunny, breezy day here in this burg by the Great Lake, so between all the ropes and knots and winds, this most recent bout of wishing I was anywhere but here has me out on an imaginary sailboat, enjoying the day, instead of once again way too locked up in my brain. I love sailing. It’s been too long since I’ve been out on a boat, feeling the tension between controlling the tiller and the sails yet knowing that no matter how closely you watch and try to read your surroundings, the wind and the water are still in charge. It’s about being in control- to a point, and going with the breeze- or choosing to drop the sail- when control slips through your hands like a recalcitrant jib sheet. I’ve ended up in the drink far too many times to forget that seeming to be in control and being in control in actuality are two very different things. Sailing is full of such lessons. 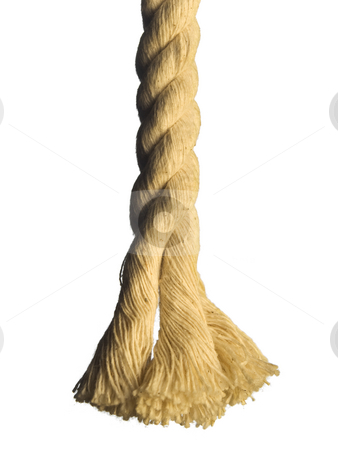 A whipping knot is a whipcord binding that is tied around the end of a rope to prevent its natural tendency to fray. The sailmaker’s whipping is one of the most durable whipping knots, threading the twine diagonally through the rope and wrapping and reef knotting the end to secure the whole shebang. Looks pretty well-wrapped, doesn’t it? Since I’m feeling somewhat less than well-wrapped at the moment, and given the propensity of the ends of ropes to fray, in order to keep on holding on, per FDR’s advice, I’m feeling in definite need of a secure whipping (minds out of the gutter, people. Keep with the context) just now. (‘of course there is a song’, you’re saying to yourself if you’ve come to know me at all). It’s about running away and facing reality, and holding on and letting go. And the comfort to be found in sailing and the ultimate consolation of music. All at the same time. It’s beautiful (like all CSN(Y) creations). From Crosby, Stills and Nash’s 1982 album, Daylight Again, ‘Southern Cross’ describes an existential struggle and the wisdom that can be found under the constellation ‘Crux’, the Southern Cross, in the seas near French Polynesia. In addition to being the Latin word for ‘cross’, a crux can be both the central, critical point and a puzzling or seemingly insoluble matter. The Maori name for the Southern Cross is Te Punga– the anchor. Stephen Stills sings that his ‘love is an anchor‘- both a good thing- for its stability, and not so great in light of his inability to let go of the past and move forward. Fitting locale to try to figure things out, no? Stephen based the song on one by Rick and Michael Curtis that needed some tweaking and focus. He combined their original template with the long sailing trip he took after a major change in his life and transformed it into a story about using the power of the stars, water and winds to heal wounds and grant perspective. The Curtis Brothers’ original song was called ‘Seven League Boots’, a nod to a motif used in European folkloric traditions, including the stories of Charles Perrault, whose use of pre-existing folk tales formed the foundation of fairy tales as a literary genre, and included such stories as Cinderella (Cendrillon) and Bluebeard (La Barbe bleu). Seven league boots allow the wearer to stride said seven leagues with each step taken, and generally were given to the heroes of the stories by a magical intermediary seeking to help ensure the completion of an important task. Jack the Giant Killer and Goethe’s Mephistopheles (in Faust), for example, use the boots to accelerate the action to the climax of their particular goals. To sail ‘a reach’ is to sail approximately perpendicular to the wind and ‘a following sea’ describes wave direction that matches the direction the boat is traveling. It is used interchangeably with the points of sail below a beam reach and suggests good winds and smooth sailing. I find myself at a true crux right now- in both senses of the word. No supernatural intercessor has shown up to hand me a pair of seven league boots, and I am, sadly, without access to a sailboat at the moment or the ability to visit Papaeete any time soon. But, as Stephen notes, there is always something that I can rely on when the thinking and the analyzing and the planning next tacks have become too much, and coherence and optimism have left the building. I will spend my evening in her company (perhaps with a Corona in hand in memory of good times with my sailing peeps) and be grateful for her continuing presence as my sailmaker’s whipping, until I’m ready to once again go looking for an ideal reach and calmly following sea.